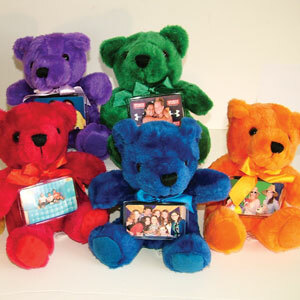 We can make your own gifts extra special this year by creating personalized photo stuffed animals! Single portraits or large groups, everyone will appreciate this practical and entertaining photo novelty. We have stuffed animals for Christmas, Winter holidays, Valentine's Day, and many more. Want to talk with us about Photo Stuffed Animals?